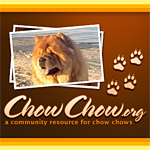 I've recently joined and rescued a chow as a result of the wonderful people at chowchow.org. But I'm confused about the usergroup membership options available in my profile. Can you please explain the difference between Registered Users and ChowChow Members? I have the option in my profile to select one of these, but it is unclear to me which group I currently belong to - if any. I'm concerned that if I select a group with lesser permissions than I currently have, I will not be able to change back. It says that Registered Users is a special group, but it does not say how it is special. ChowChow Member is described as an open group that members can apply to join. Can you please explain the benefits or limitations of these two groups? And which one would be the default group that I would have been placed in when I first registered to post? Every registered user is part of the Registered User group by default. The ChowChow Members group doesn't really serve any purpose, I had created it when I was first learning how to setup the forum, but I never removed it. It has no affect on your account privileges. The only groups that have any different privileges are the ChowChowAdmin group which is used for Moderators and the Administrators group which is only for me, the ChowAdmin! I hope this clears up any confusion, if you still have questions post them here. I might just remove the ChowChow Members group since it doesn't serve any purpose.